Ever-increasing sales of our amazing Modena HE boiler, some decent summer weather and a good start by Burton Albion FC to the football season – at Ferroli we’re all feeling pretty contented right now! 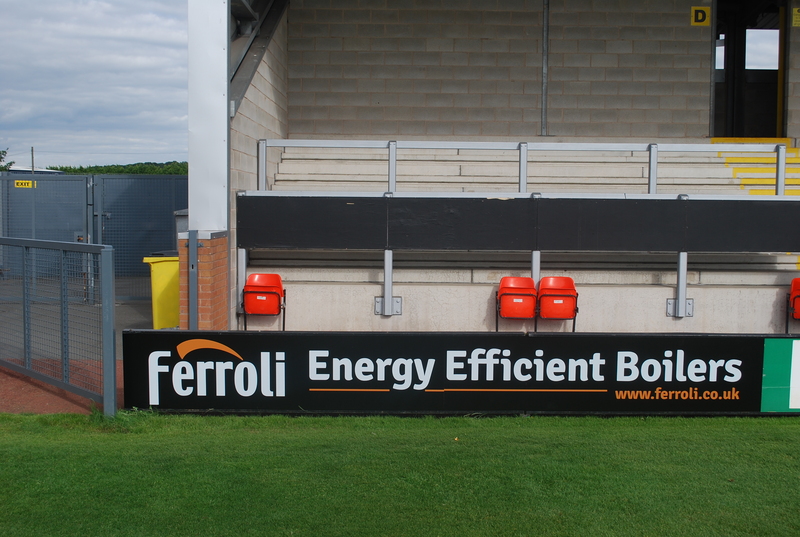 We’re very proud to have our name associated with our home team and are pleased to have increased our support for the club this season with bigger pitchside advertising boards at the Pirelli Stadium. With an impressive batch of new signings this season, we’re looking forward to seeing this winning streak become a permanent fixture!